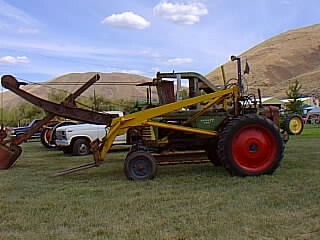 This tractor replaced the Oliver 77 and was a 3 or 4-plow tractor. It was available in all of the original Model 77 variations, plus the new adjustable wide-front row crop. The "Hydra-Lectric" three-point hitch was available on all versions of the Super 77.